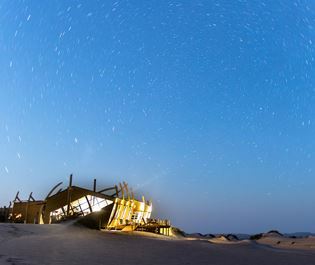 Perched in the private Palmwag Concession, straddling the desolate Palmwag area and the incredible Skeleton Coast National Park, Hoanib Skeleton Coast Camp seamlessly blends into the unique arid landscapes and truly reflects the area’s stark beauty. 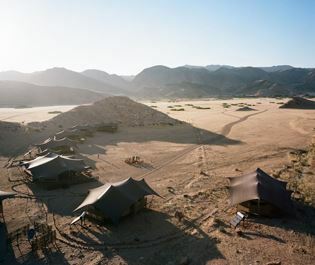 Nestled in such an isolated wilderness, this camp is definitely one of a kind, and we love that the neutral palette and minimalist décor beautifully embodies the desert. There are eight tents, including one family unit with two bedrooms, all featuring chic furnishings and endless desert views. Each tent features a double bed, an en-suite bathroom, and a small scenic veranda. The main areas are just as stylish, the open-air vibe creating an airy space perfect for relaxing after a day of exploring barren landscapes. There’s also a lovely small pool area, framed by an al fresco dining area, and a small campfire for sociable evenings under the stars. As the camp is located in such an impressive area, it’s not surprising that there are plenty of activities aimed to showcase this geological wonder. 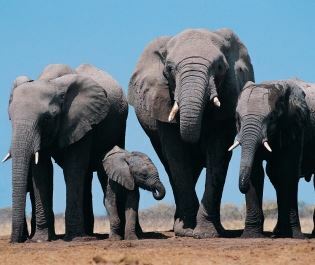 From tracking desert-adapted elephants and having a picnic by the Klein Oase and Auses Springs, to discovering seal colonies and abandoned shipwrecks in Skeleton Coast National Park, we’re always impressed with just how extraordinary these activities are. Open all year round, children of all ages welcome. 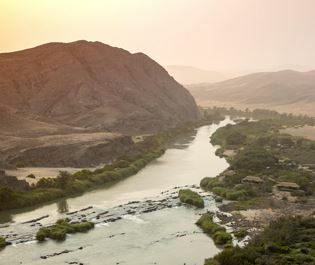 With unbelievable stretches of desert and an abundance of wild dog, leopard and cheetah, it's easy to fall in love with Namibia's Central Highlands. 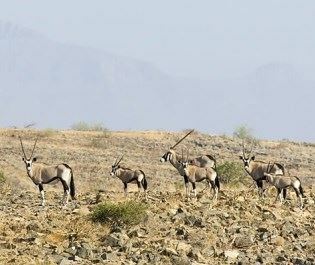 Damaraland's sweeping landscapes are nothing short of extraordinary. During our travels we've never come across somewhere so unique and remarkable. 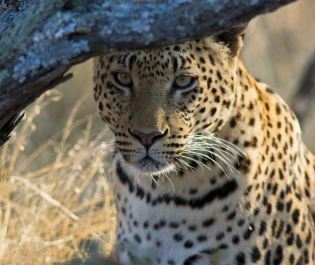 Etosha's white salt pan and expansive savannah is home to some of our favourite wildlife sightings, from elegant cheetah and impala, to robust rhino and buffalo. 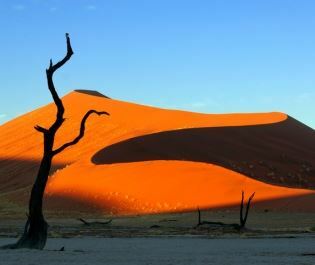 We love a trip to Africa that takes us away from the norm, and this area's awe-inspiring desert landscape is certainly one of our most unique destinations.